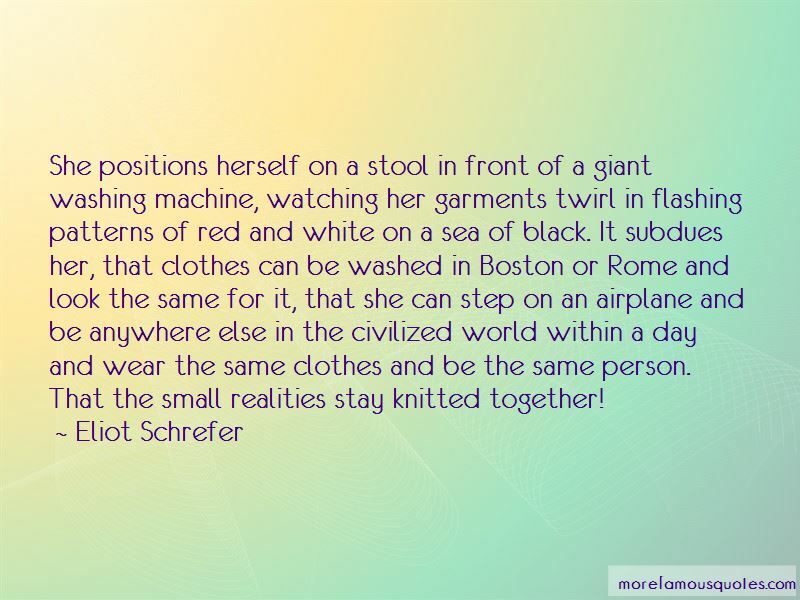 Enjoy the top 22 famous quotes, sayings and quotations by Eliot Schrefer. 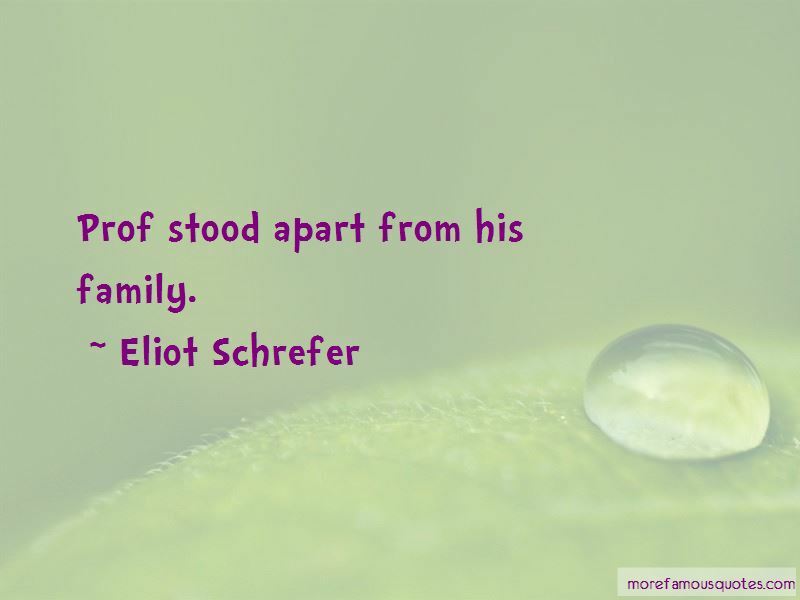 Prof stood apart from his family. or even sleeping in a bed! Concrete can rot. It turns green and black before crumbling away. Maybe only people from Congo know that. He murped, then went to the edge of the overgrowth and stood there agitatedly, waiting for me to follow, glaring at me like I was an idiot who didn't know how to take a hint. 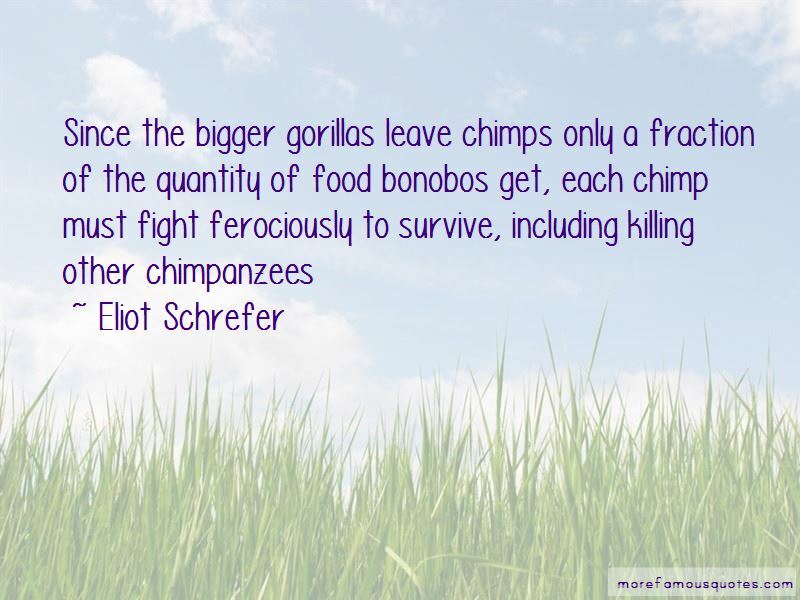 Want to see more pictures of Eliot Schrefer quotes? 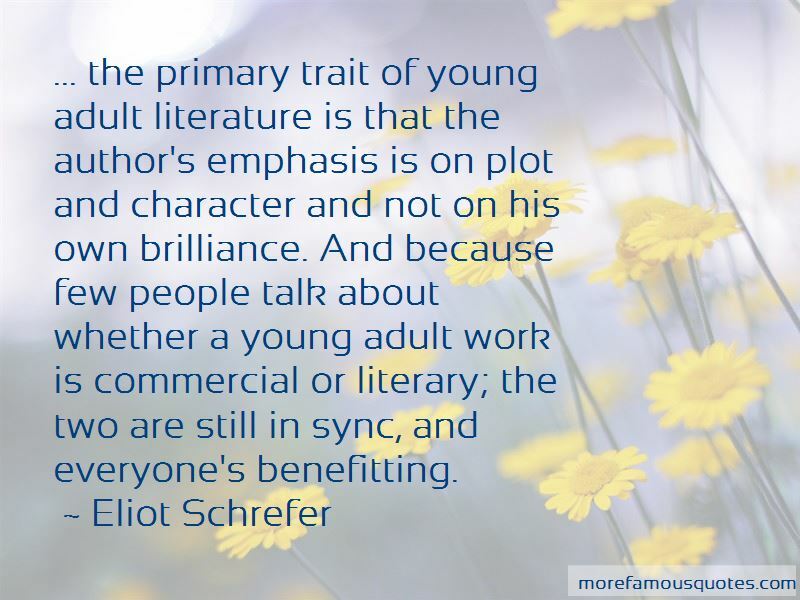 Click on image of Eliot Schrefer quotes to view full size.